The 24-year-old England star was contacted by the youngster’s nan and he responded wonderfully with a passionate message. 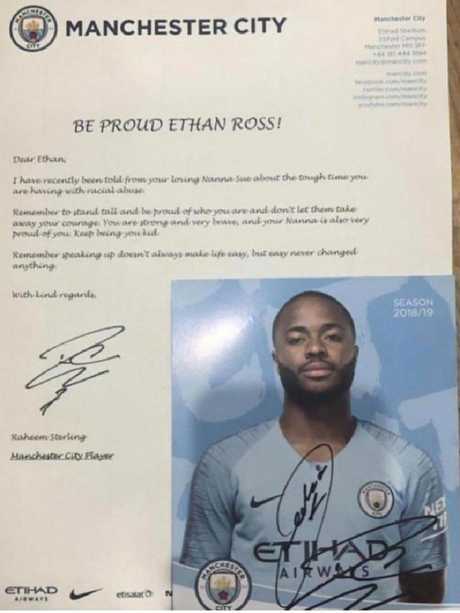 An image of Sterling’s letter went viral during Manchester City’s 9-0 hammering of Burton in the Carabao Cup on Thursday. Sterling wrote: “Dear Ethan, I have recently been told from your loving Nanna Sue about the tough time you are having with racial abuse. “Remember to stand tall and be proud of who you are and don’t let them take away your courage. 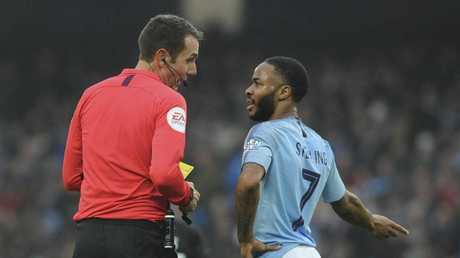 Raheem Sterling was racially abused at the end of last year during Manchester City’s trip to Stamford Bridge. “You are strong and very brave, and your Nanna is also very proud of you. Recently, Sterling also shared a touching video showing the football skills of his one-year-old son Thiago’s football skills, who appears to have inherited his dad’s talented genes.